The vibrant colored trees in Algonquin Provincial Park in Ontario, Canada during the Autumn, bring a new perspective to the trails and the landscape of the park. Every season gives the park a new look, but Autumn is the prettiest as the trees slowly change into an array of colors. 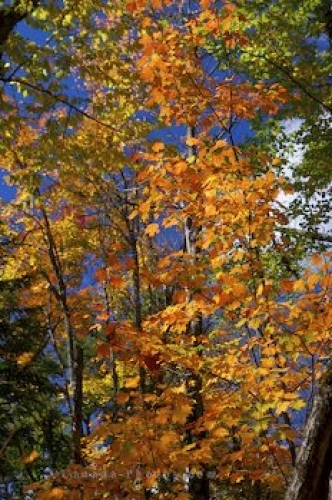 Picture of the vibrant colored Autumn trees in Algonquin Provincial Park in Ontario.